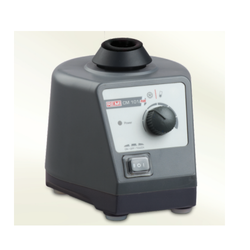 This vortex mixer is used for thorough mixing of precipitates in test tubes, small bottles or flasks. Provided switch for on touch working. A speed regulator switch also provided to control the speed. Suitable to work on 220/230v A C.
Variable speed mixer to eliminate hand mixing. Holding tube against vibrating rubber cup does rapid mixing of contents. Speed regulator controls the degree of vibration. A unique touch feature operates the unit when the tube is pressed on the rubber cup.Interchangeable adaptors greatly enhance the use of Cyclo Mixer for mixing in different applications. 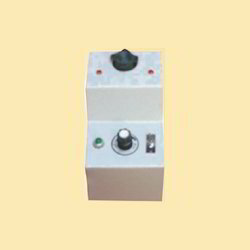 Insta Mixer (Cyclo Mixer) with variable speed controller suitable for tubes upto 100 ml. Useful for stirring centrifugal tubes, test tubes or small flasks. Fitted with a neoprene rubber cup mounted eccentrically on the shaft against which at its is held the tube with its lower end pressing against the cup. Mixing action is controlled by varying the angle and pressure of the tube against the cup. Fitted with speed control arrangement. To work on 220/230 volts ac 50 hz single phase. VORTEX SHAKER : (TEST TUBE SHAKER) Useful for accelerated mixing of solutions in test tubes, small flasks or centrifugal tubes etc. The housing is 150x150 mm. The speed is regulated by a speed control device. Short eccentric stroke motor imparts vigorous agitation to the tubes or flasks. Body is strong and finished in stoving enamel paint. The equipment is workable on 220V AC 50Hz single phase. Application: Pharma Industry, Chemical Industry, All types of laboratories, Institutes & Research Centres.